A perfect treat for your Cinco De Mayo fiesta! 2. 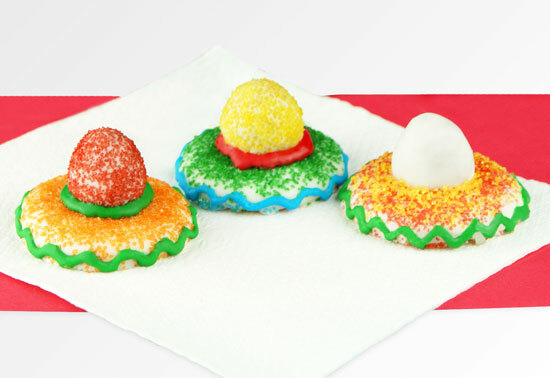 Dip crackers or cookies in melted CANDIQUIK®; sprinkle with sugar decors before coating is set. Set on wax paper. 3. Dip raspberries in melted CANDIQUIK® Coating; sprinkle with sugar decors and place in the center of cookie. 4. Pipe with decorative icings. TIP: To dip raspberries, pierce with a toothpick and dip in CANDIQUIK®.